Engaging and colorful, the Science Readiness Flip Charts provide the perfect hands-on resource for Early Childhood programs. The "write-on/wipe-off", dry-erase activities are ideal for building fundamental, standards-based skills. Flexibly designed for use in whole class, small group and individual scenarios! Each Science Readiness Flip Chart Set Includes 10 Double-sided, laminated charts - on each 12" x 18", Side 1 features a graphic overview of the topic while Side 2 is a "write-on/wipe-off" activity chart; Spiral-bound on a durable, free-standing easel; Teacher's Guide featuring step-by-step teaching instructions along with copy-masters & exercises. 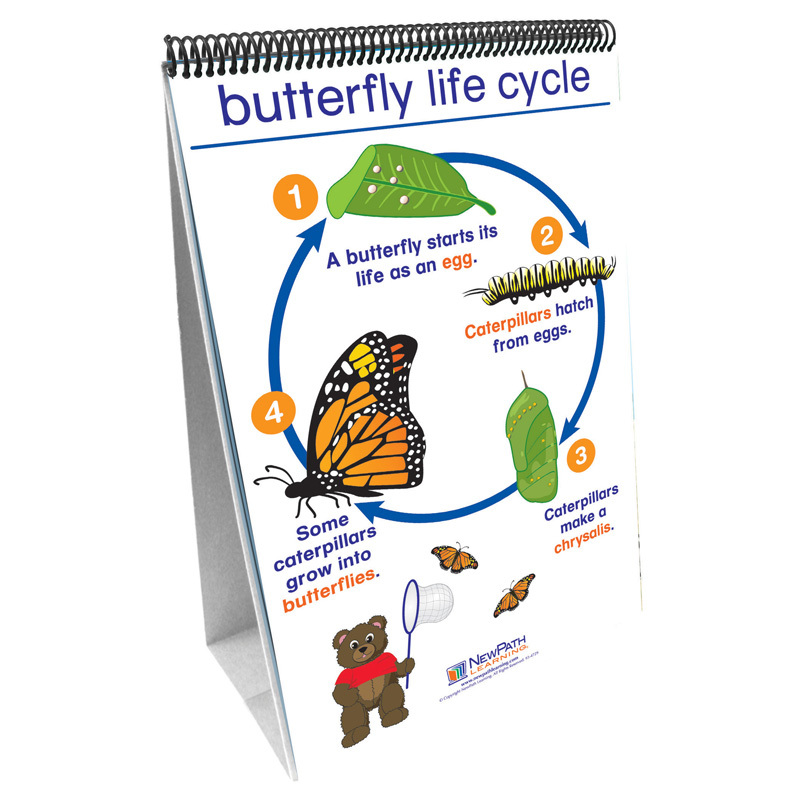 Covers What Animals Need; How Animals Grow & Change; Farm & Zoo Animals; Birds; Bugs & More Bugs; Butterfly Life Cycle; Frog Life Cycle; Reptiles, Fish & Amphibians; Parents & Offspring; & Interdependence of Plants & Animals.